Great opportunity to own in San Diego whether you are looking to buy your first home or to acquire an investment property. 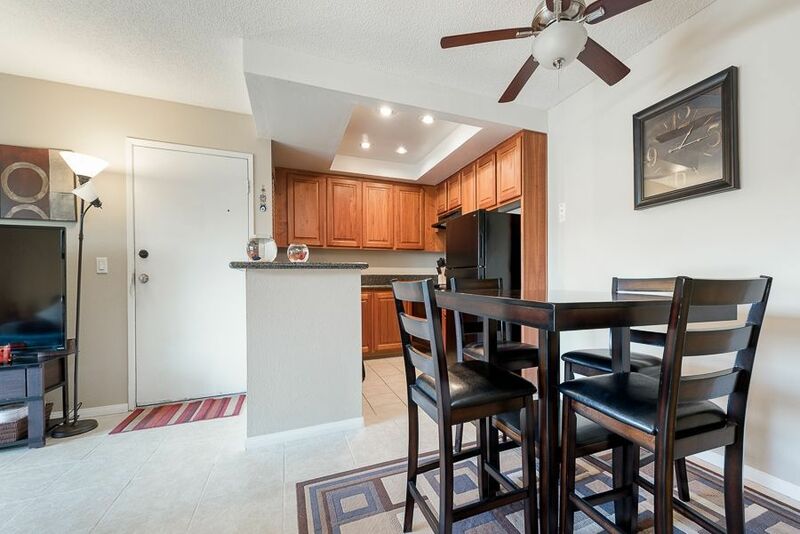 This updated condo is in the heart of Mission Valley, is a bottom floor end unit right next to the tennis courts, recently renovated swimming pool & hot tub, laundry and has a parking space right in front of the unit. In addition, it is close to trolley station, freeways, shopping, dining and more. With the right offer, the seller is willing to offer credits towards closing costs.